Because I speak every week and have done so for the last 10+ years, I’ve seen a lot of worship leaders. From camps, conferences, church services, student and college ministry, it takes all kinds. Most of them are great. Some of them, not so much. Most of them have great hearts with a desire to lead a group of people into the presence of Jesus to worship, others, not so much. I thought I’d share some thoughts as a person who preaches and worships in church on a weekly basis, sort of my viewpoint of you and some requests. It’s not about you. I know worship leaders would never say it is about them or preachers either. But sometimes, it seems like it is more about you than Jesus. We are not there to watch you worship. We are not there to see how amazing you are or how incredible your voice is or that killer drum or guitar solo you just nailed. If that’s all people talk about at the end, it failed. Talk normally. So many worship leaders when they talk between songs sound like they are trying to seductively get me out of my clothes. If your voice sounds like Barry White normally, then great. If not, talk normally. Don’t breath heavy, make weird pauses. I leaned over to Katie at one worship service recently and told her I felt like the worship leader was hitting on us. It shouldn’t feel that way. Everything you say, pray and the songs you sing teach me about God. When you pray, think through it. When you talk about asking for more of the presence of the Holy Spirit, is that possible? Or do we need to be more aware of the presence of the Holy Spirit? Make sure you know what the Father, Son and Spirit do. When you make it up on the fly, you make theological errors that we in the seats listen to and believe. After all, you’re on stage. As for lyrics, make sure they are theologically correct. Also, what does it mean to sing to the heart of Jesus? When you tell us to sing this straight to Jesus I wonder who we’ve been singing to this whole time. A lot of what is said on the latest Hillsong and Passion album sound awesome in an arena, but when there are 25 people in a church planet, we don’t want to shout to God. Pray normally. When you pray, do you say God or Jesus over and over. Dear God, we love you God. Thank you God. God, your presence is so amazing God. Oh God. If that’s how you pray, great. If not, pray normally. The way you pray teaches the rest of us to pray and if it doesn’t sound normal, it communicates a normal person can’t pray. Also, when you pray, I learn theology about God. Don’t repreach the sermon. There is nothing worse than preaching a sermon, one that I as the preacher has thought about for anywhere from 1 week to 8 months just to have a worship leader come up after me and on the fly repreach it in 5 minutes and make me wonder, “Why did we just sit here?” Or, when you repreach it incorrectly? I remember speaking at another church and the worship leader came up and tried to make my point, but missed it. Showing he wasn’t really listening. Your dress reflects your heart. This is for men and women. If your dress is distracting, revealing or over the top, no one is paying attention to Jesus. They are looking at you. What you wear, how low cut it is, how shirt your skirt is, how tight your shirt is, all reflects your heart. Don’t make us stand forever. I know people stand forever at a concert, but once you start getting to 15, 20, 25 minutes of straight standing people start checking out because it hurts. Knees, back, necks, they all start to ache. When you sing high, men stop singing. 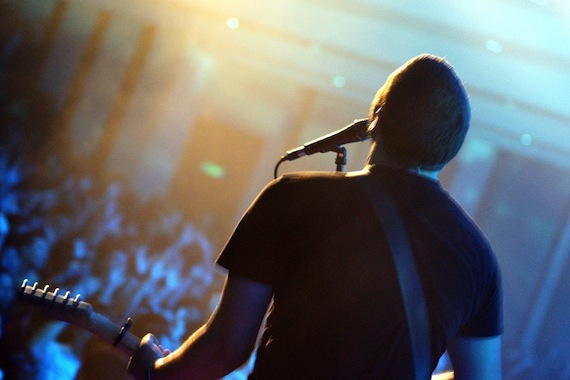 If you are a worship leader, you probably have an incredible range. That’s awesome. You can probably sing all the songs exactly as they are recorded on the CD. That’s awesome. The problem is few other people can, especially men. When you sing too high, men stop singing and check out. Explain what we are doing. Why are we standing? Why are we reading this prayer? If you want me to do something, tell me and explain it. Don’t assume I want to do the thing you want me to do. You’ve spent all week thinking about it, working on it and I just heard about it. Sing songs each week. I love new songs and if you lead worship, you get tired of songs quickly. The reason? By the time you teach a song to a church, you’ve listened to it 100 times. The problem is, most people do not listen to worship music throughout the week. They don’t know the songs. So, if you teach a song and the following week don’t sing it again, we forget it. I love worship leaders. I love that at Revolution, almost half the service is music. I want you to be great. If you don’t serve with a pastor that wants you to be as great as possible, go find a new pastor to work with. The people who show up each week show up wanting to meet Jesus and you are a big part of that. You help us encounter Jesus in a personal, emotional and logical way. I want you to be great and I don’t want anything to stand in the way of you being the worship leader God called you to be.